UMIDIGI has launched yet a new smartphone called UMIDIGI Crystal; after weeks of releasing UMIDIGI C Note. UMIDIGI Crystal has a 5.5 inches LCD capacitive 2.5D curved Dragontail glass. It is said to be coming in two variants, which are; all metal edition and a dazzling blue Lumia edition. The Crystal is UMIDIGI’s response to the Xiaomi Mi MIX in that it is a bezel-less smartphone. It isn’t 100% bezel-less, of course. It lacks bezels on three sides. Check out the UMIDIGI Crystal Specifications below as well as the price. Launch Price: From $99 in USA / N32,000 in Nigeria / INR 6,467 in India / KES 10,325 in Kenya / CNY 691 in China. UMIDIGI Crystal specifications. 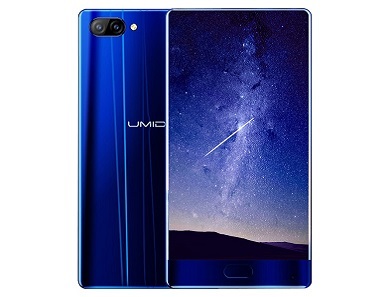 UMIDIGI Crystal price in China, India, Nigeria, Kenya, USA. There is no way these specs will come in this small price. Common. It's 2017. All these specs and that price. No way. Though we don't know the battery size sha.